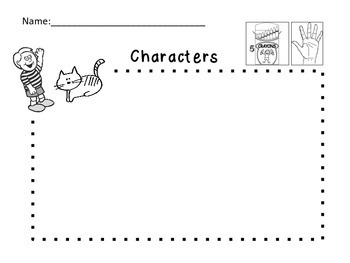 Each worksheet helps students begin to organize their ideas in early writing forms: drawing and labeling. The worksheets have various titles to help guide lessons (see below). In the top right corner of each page, students should check off that they have used 5 colors and that their drawing is at least as big as their hand when they finish their work. This helps make our little workers reflect on and evaluate the job they have done. 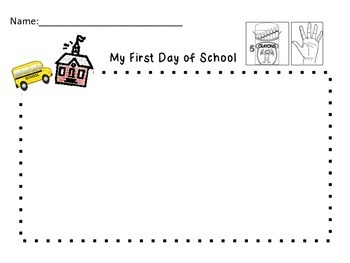 The various prompts come from "The First 20 Days of Kindergarten" Writing program. 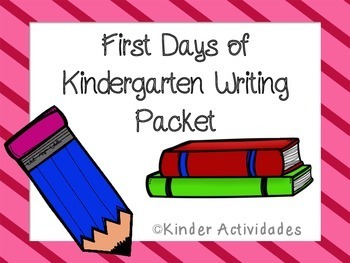 Prompts include: a happy moment, a surprised moment, characters from a story, the setting of a story, making predictions, my summer, my first day of kindergarten.